Shoojit Sircar’s latest release ‘Piku‘, has been declared a super-hit at the box-office. Recently the movie was viewed by none other than the President, Pranab Mukehrjee. Amitabh Bachchan and Deepika Padukone starrer ‘Piku‘ was recently screened at the Rashtrapati Bhavan for President Pranab Mukherjee. The screening was attended by several dignitaries. The Producer and Director along with Megastar Amitabh Bachchan and son Abhishek Bachchan attended the screening. 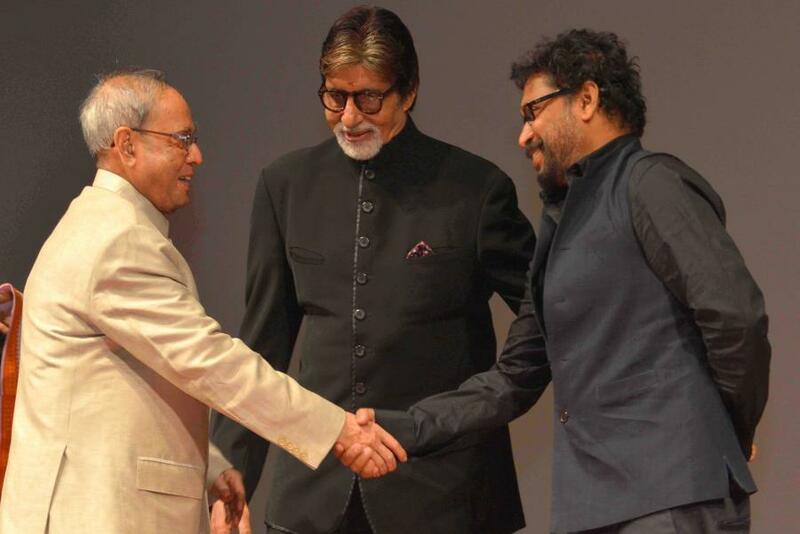 Amitabh Bachchan who was honoured post the screening of the movie for his outstanding performance, had later posted a few pictures with the President on his official Facebook page. ‘Piku’ stars Deepika Padukone in the titular role and Amitabh Bachchan plays her hypochondriac father in the movie.